As editorial policy, the Ilocos Sentinel always accommodate both press releases and praise releases from government and non-government agencies. This week, Sentinel could not help but also hype sincerest praise to the Land Transportation Office (LTO), Laoag District Office under its chief Mr. Hipolito Arde. 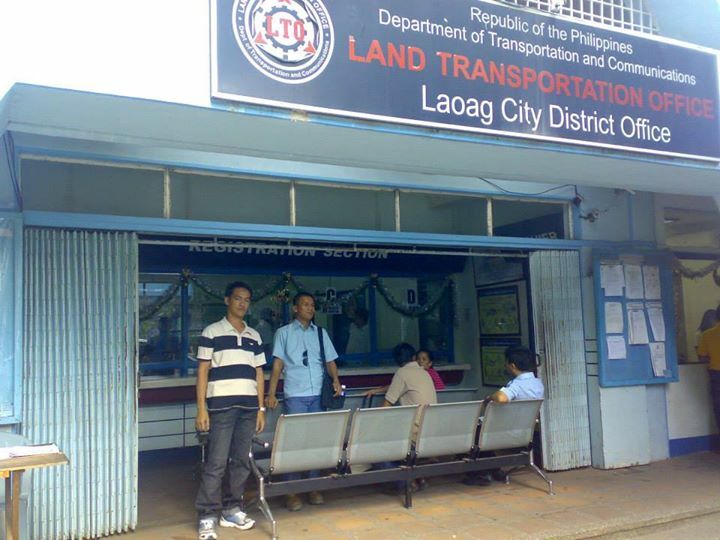 Our praise goes to LTO Laoag for a good service rendered to a senior citizen (SC) who went to renew his driver’s license after three years, the prescribed expiry period. Last Tuesday afternoon, Nov. 10 which was six days before it would expire on his birthday, Nov.15, the aforesaid senior citizen sallied forth to the LTO Laoag, accompanied by his son. The renewal section for driver’s license (DL) is now different compared to their set up three years ago. It’s now located at the south eastern portion of the LTO building. When he approached the handsome guy in charge of receiving clients at the office entrance, the employee smiled at him as the SC handed to him his DL card and medical certificate. After the guy politely asked for the SC age, he ushered the elderly client to go inside their air-conditioned office room. Those non-SC clients were seated outside the office room and waited for their turn to be called by their names. Transaction too was systematic. Inside the air-con office room is a corner for Priority Citizens like him. After a few minutes, the SC faced the camera outside for his new photo shot and returned inside the air-con room for his signature in an electronic pad. All employees inside the room were busy in their respective work. Mr. Arde emerged twice from his chamber to give instructions to his staff. Nobody was idling or chatting. Later, a courteous lady employee got the SC’s payment for his license renewal fee and later came back to the Priority Citizen corner to say “Nalpasen Sir!” as she handed to him his accomplished renewed driver’s license card valid for another three years and the corresponding official receipt.